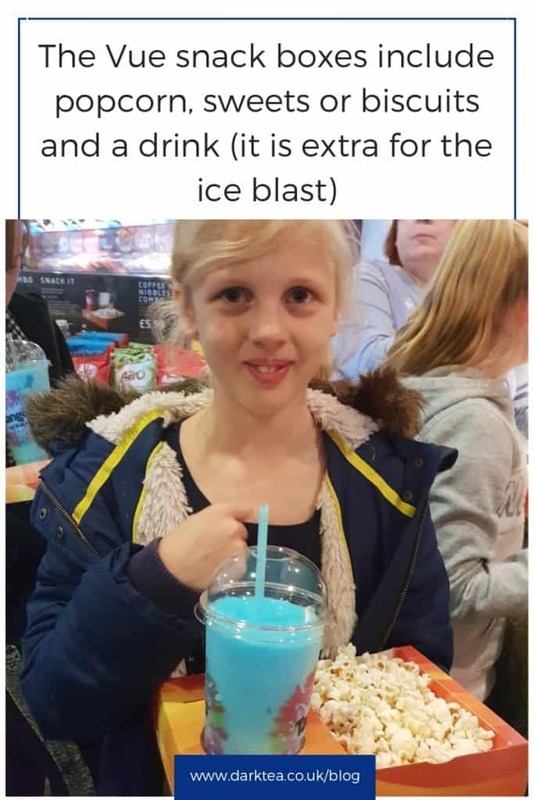 We were delighted to be invited to take my daughter and some friends to Vue Oxford to celebrate her 10th birthday*. We’re not strangers to this cinema, but it isn’t the only one we go to. We live in between five cinemas ranging from independent to multiplexes, and we usually choose which one to go to based on our other plans that day. 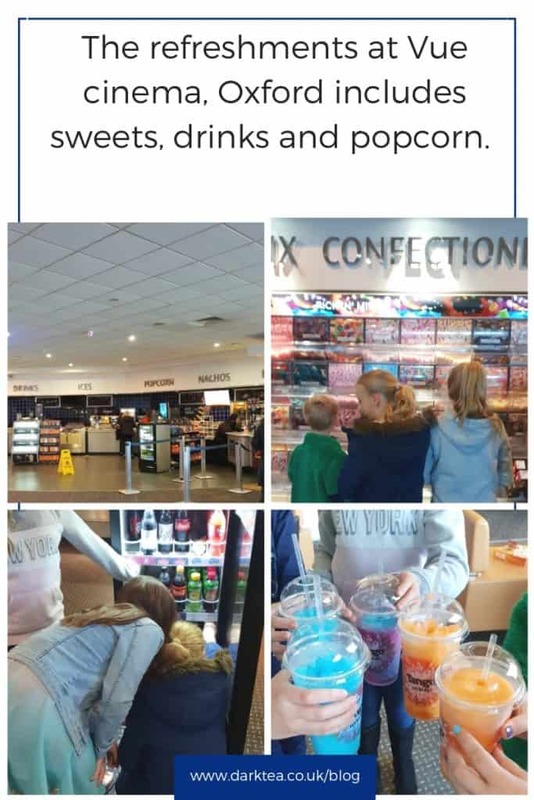 However, if the only plan is to go to the cinema then I always choose Vue, Oxford because it is easy to access just off the A4074 and has lots of free parking. 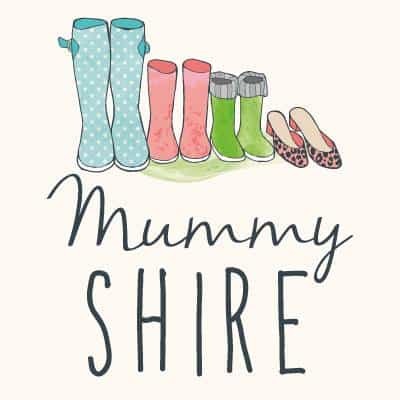 In fact, I admit there was one half term when we went twice in two days because we couldn’t decide whether to watch My Little Pony Movie* or Lego Ninjago*! 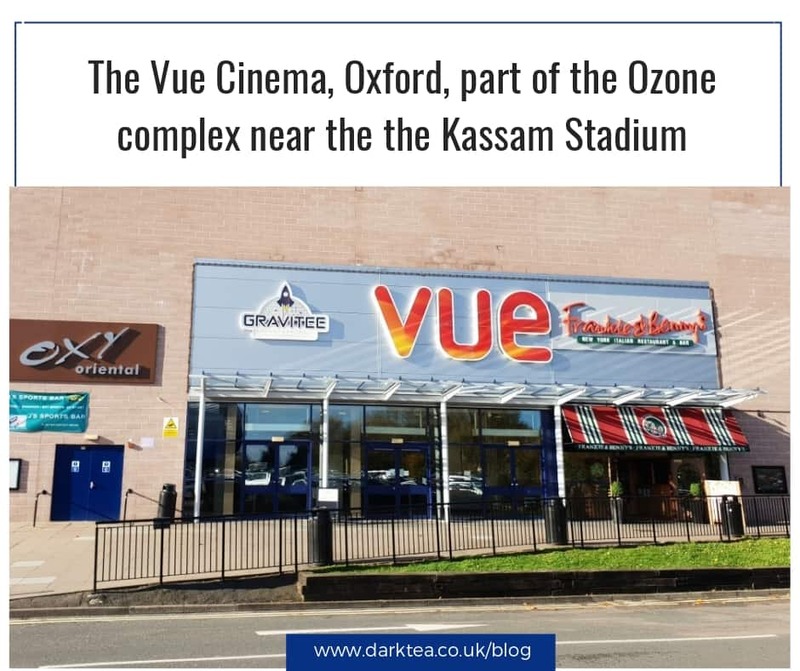 Vue Oxford is part of the Ozone complex near the Kassam stadium. There are a number of other activities in the building including ten pin bowling and adventure golf. There are also a number of food venues. 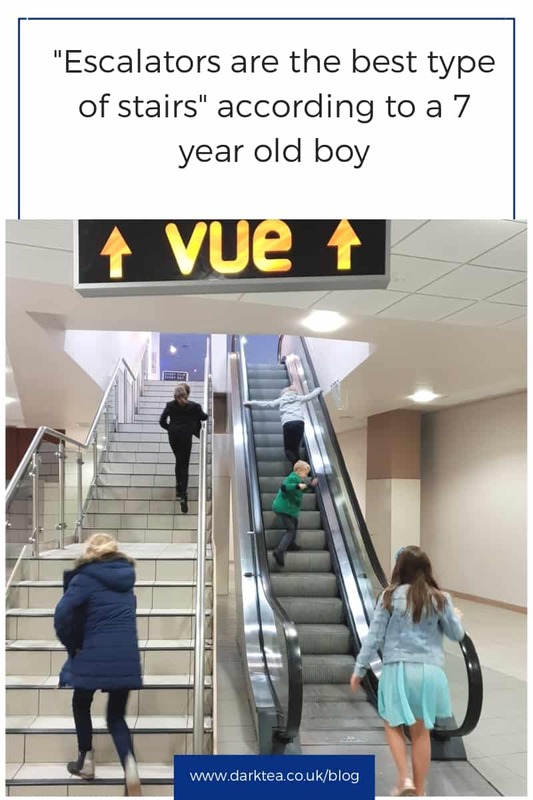 Vue is on the the third floor and there are two escalators to reach the lobby. For my son, this is one of the most exciting parts because “escalators are his favourite type of stairs”. I love popcorn and that is always my first choice when visiting a cinema. I like salted popcorn with a bit of sweet mixed in. As it was a special occasion the children got snack trays for the first time. These were incredibly exciting for them as they all got their own popcorn meaning no arguements about sharing a bag! Choosing the sweets / chocolate to go in their tray was easy; the hard bit was choosing a drink each as there was so much choice. After selecting water and fruit juice someone asked if they could have a Tango Ice Blast. And that was it, five ice blasts were required. Fortunately the staff were very patient and kind as the children changed their minds! There are nine screens in total with over 1,000 seats. We watched the animated film The Grinch in screen 1. I haven’t been in this screen before and suspect it is one of the largest as it felt spacious with lots of seats. We sat near the back, behind the VIP seats, and had a great view of the screen. I suspect you’d get a good view from any seat due to the tiered seating, even at the front as there appears to be a good gap between the seats and the screen so it probably won’t feel like it is on top of you. I have to admit that my husband and I were a bit tired as we’d been to a 40th birthday the previous evening. A dark room and comfortable seats meant we may have dozed off a few times during the film! I particularly liked the boxes as it was easier to carry all the snacks and drink. I liked the box with the food in as it looked really cool so I brought it home. As I mentioned before I like Vue Oxford as it is easy to get to and there is lots of free parking. There are also a number of restaurants so you can easily have a meal as well as watching the film. I enjoy going to the cinema and I’m looking forward to going again soon as there are lots of films I want to see before the end of the year (Wreck it Ralph 2, The Nutcracker and the Four Realms and Fantastic Beasts 2). I just wish there was more time between the release dates of the films I want to see. What films are you looking forward to seeing? * Disclosure – Please note this is a sponsored review for Vue Entertainment (Vue UK & Ireland) – a leader in out-of-home entertainment and the big screen experience #ad. All comments are honest and my own. 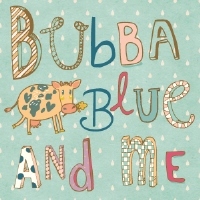 This post also contains affiliate links which means if you buy something after following a link I will earn a percentage of the value but it does not cost you any more.